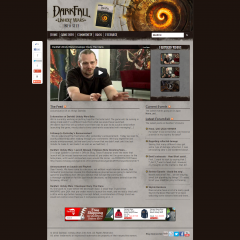 Recently I launched an info site for an upcoming game called Darkfall: Unholy Wars. This site was needed because the info out there provided by the creators was very lacking. I thought this would be a great project to learn more WordPress Theme Development and create my own theme. My foresight tells me it will always be a “work in progress”.